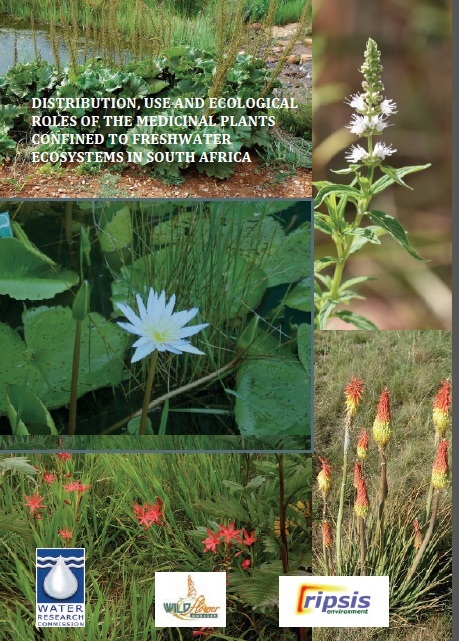 The Department of Science and Technology launched a programme call “Famer to Pharma” where the intention was to produce, inter alia, medicinal plants on a commercial basis to supply traditional healers. 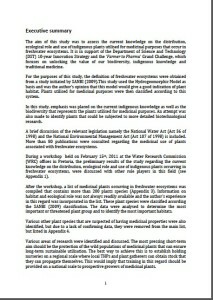 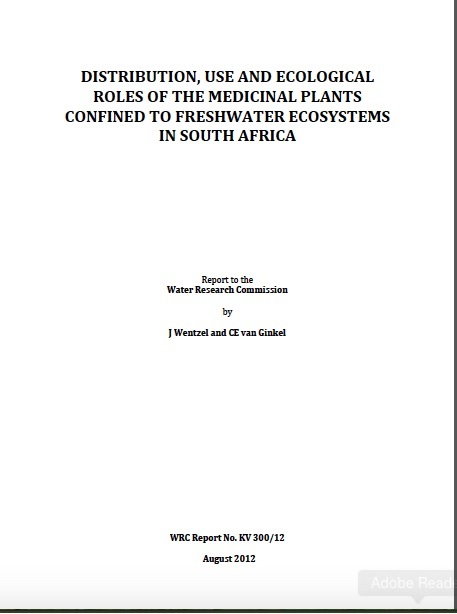 The focus of this study was to investigate reported medicinal plants that are associated with water, whether wetland, river or seep. 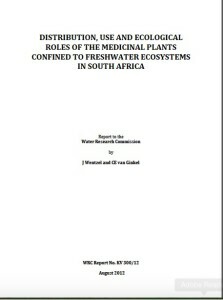 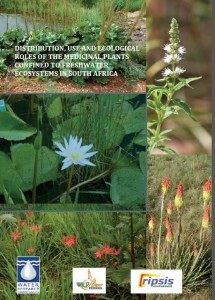 The report is available on the website of the Water Research Commission (www.wrc.org.za), reference WRC Report No. 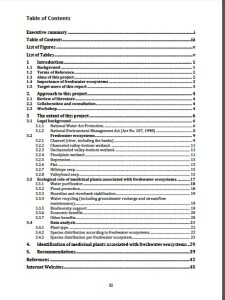 KV 300/12.